G.I. JOE Lego- BLOOD FOR THE BARON!!! Mind you i guess it was just a matter of time before they got miniaturized, surprised Lego never got there hands on it first! Apologies if there is already a thread on these. 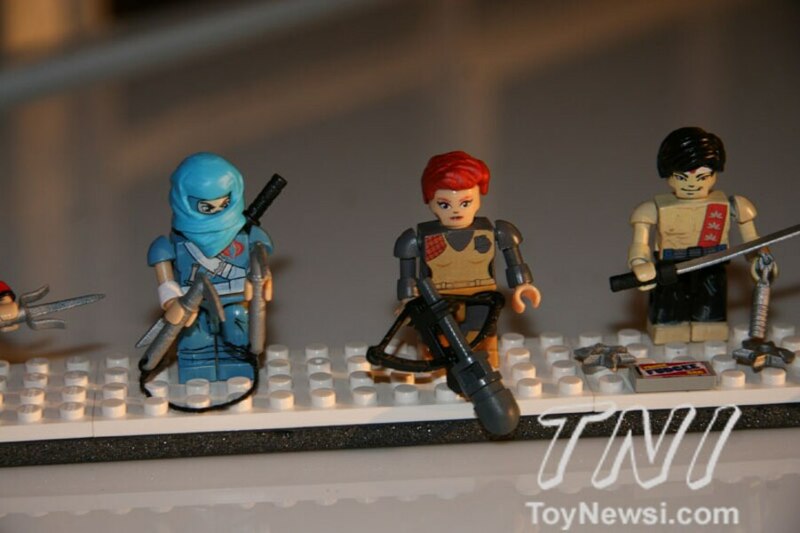 The Kre-o figures will be available only in Toys R Us in mini-packs like lego ones. They are featured in this months GIJCC magazine in a homage to GI Joe #1's cover. Squad Leader wrote: surprised Lego never got there hands on it first! Well, it was obvious that Lego couldn't get the Joes, since Kre-O is the go-to label of construction bricks for Hasbro franchises. In fact, their existence raised my hopes of Joe construction sets. Let's hope some sets to reach normal retail after the film sequel release. Not sure whether I like them or not though. Some looks good, butsome look a bit crappy! Yet again Hasbro are following trends rather than setting them. These look too much like those cheap Bestlock military & other Lego knock off sets you see in Pound Stretchers.